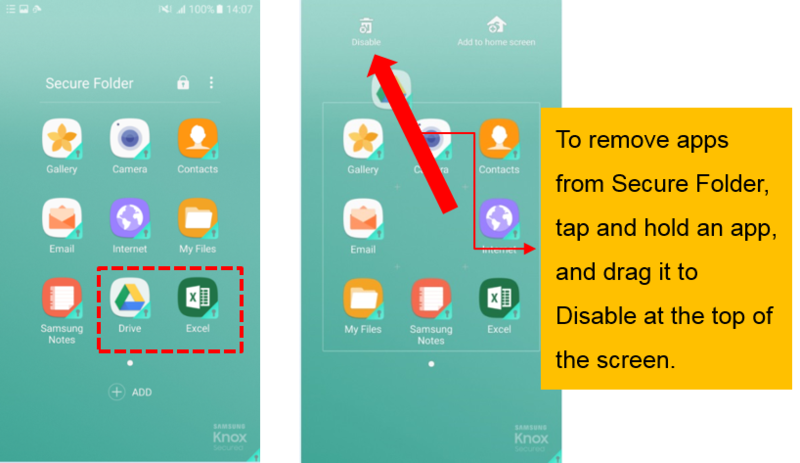 On Secure Folder main screen, tap ADD. 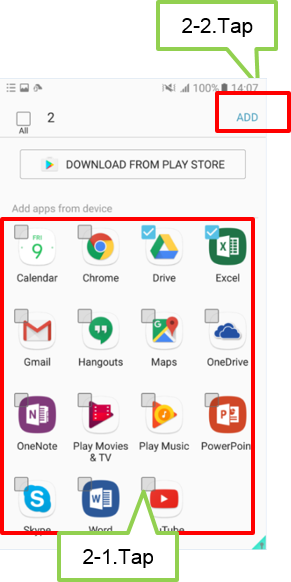 Tick on the tick box on top app installed on the device that you want to move and tap ADD. 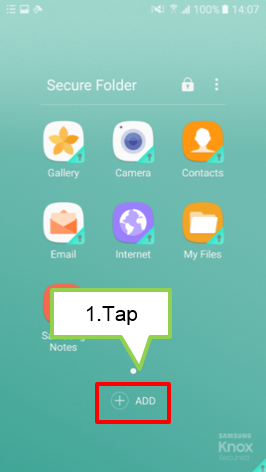 To install applications from Play Store, tap DOWNLOAD FROM PLAYSTORE.